The headshell included is one of AT's budget models and is made in China. Appears to be decent quality though. The cart itself is made in Japan. Out of the box the headshell appeared to be set up for Technics 52mm overhang. Took only a minute to get aligned to JVC 48mm overhang, which necessitated moving the cart all the way back in the headshell. Very easy - even confirmed it with a custom arc protractor. Set it up to start with at 2.0g VTF and ~2 on the AS dial. I will dial this in a little further as the cart breaks in. Phono preamp is of course the Reflex M.
Even fresh out of the box on the first record I put on it already tracks sudden sibilants and tight inner grooves better than my Goldring 1042 ever did. Pretty amazing that a cart that retails for less than 1/3 of the price can do that, but there it is. Once the cart breaks in I will see about doing some tonearm resonance tests and frequency response tests. I'll be very interested in your findings. Was also looking at the Shibata version of this cartridge. On the face of it, they look excellent value for money. Don't want to make too much of a judgment too early but very impressed so far. I needed a mid-compliance option for my JVC tonearm and this model fit the bill. Plus my past experience with AT ML styli has been very good. Listening to Junior Cook right now, incredible detail without the faintest trace of harshness. Played Talking Heads' RIL album ('80 U.S. Sire) yesterday. There is a section that the 1042 was never able to track 100% right without a faint trace of sibilance. Not so with this cart - sails through it like it was nothing. Played Japan's Quite Life ('80 UK Ariola/Hansa) and Dusty in Memphis (2017 Rhino RE) today - absolutely flawless tracking with not a hint of IGD or sibilance whatsoever. Being the same type of stylus of my AT440MLa, I can share your enthusiasm. As I wrote in a recent thread, of my three cartridges the Microline AT is consistently the best tracker (beating cartridges that cost 2-3 times more). Even better than the Nagaoka Shibata stylus on a boron cantilever. That's no mean feat (although the Nagaoka exhibits slightly smoother and more "organic" sound, but it's a very different cartridge being a MI and not a MM). I'm not surprised. I have been through several of the 440 styli before, which I used on my Signet TK3Ea body. There can be some brightness with that stylus but I found a way to tame it (verified with a test LP) and that is by using a low capacitance phono preamp and using loading plugs to load down to 39K. The only reason I don't use this cartridge on my main deck right now is because of compliance matching - it's too high compliance for my JVC arm. Same reason I didn't buy a new 540ML and went for the VM95ML instead. The 540 was supposed to get rid of the excess frequency peaking that the old 440 series had. One site did measurements and that appears to be the case though it still seems to be a very capacitance sensitive cartridge. 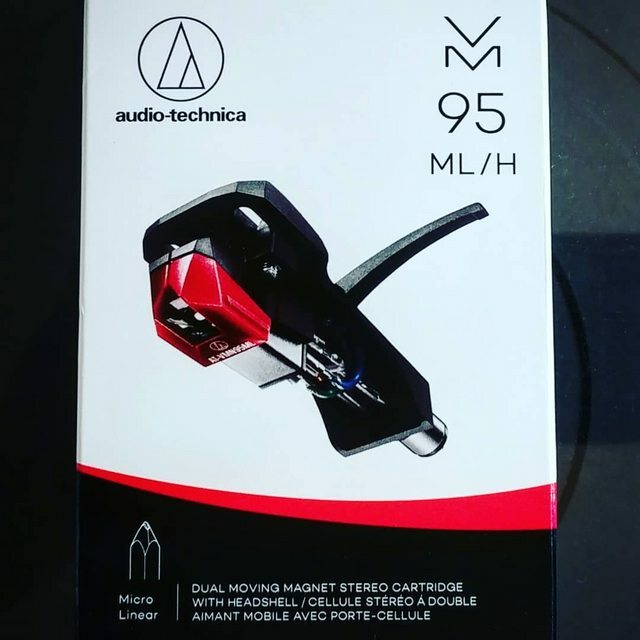 If you have a tonearm that can take the compliance of the 540, I'd go with that over the VM95ML due to better stereo separation spec. I can tell you that the VM95ML doesn't have excess brightness - the sound is very smooth and balanced, though accurate. I haven't measured the FR but will do so eventually. The measurements I've looked at that other people have done show a very even response. There is something very special about these ML styli. As you may know that's just a trade name AT uses and the actual name under patent is the Namiki Microridge. It also has the smallest side radius of any stylus available at any price - smaller than Shibata, Ogura, Gyger, etc. types. On more expensive MC cartridges and such the MR stylus is mounted on exotic cantilever material rather than aluminum. But even on an aluminum cantilever tracking is superb. At some point I'd like to get a custom retip on my Stanton 680 with an MR stylus. That should sound amazing. I know that the 440MLa has a reputation for being bright. Me, I don't tolerate brightness at all... and yet, I don't find the 440MLa to be exceedingly bright: very detailed and with an extended high frequency range, but not bright nor shrill. 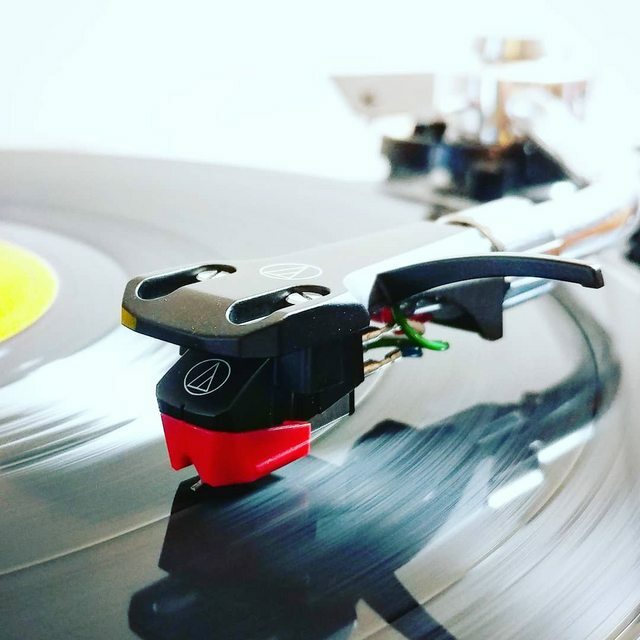 Actually, I find the highs (cymbals, etc) on the Ortofon 2M Black to be much more clinical, "digital" and shrill than on the 440, go figure. This probably simply means that the combination of cartridge, cables and phono pre (Reflex M) is a good match in my case. BTW, I am running it on a standard Technics 1210 Mk2. Yeah, I think you are right about it being a good match for you system. I don't think I'd get a 2M Black myself.